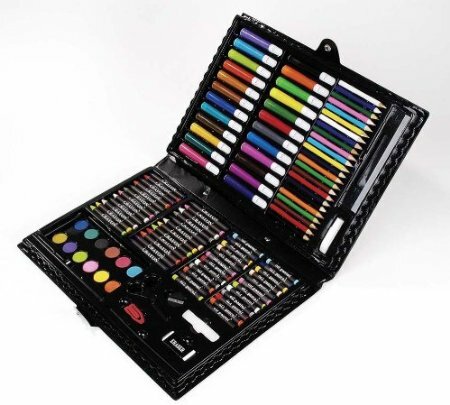 Darice 120pc Deluxe Art Set Only $8.25 (reg. $15.99)! You are here: Home / Great Deals / Amazon Deals / Darice 120pc Deluxe Art Set Only $8.25 (reg. $15.99)! Head over to Amazon and get this Darice 120-Piece Deluxe Art Set for Only $8.25 (reg. $15.99)! Super Saver Shipping will be FREE on orders over $35 or get FREE 2-day shipping with Amazon Prime.